These days, homeowners are trying out more than paint chips to add style to the interior walls of their homes. One popular trend is to create wood wall treatments out of everything from reclaimed barnwood and deconstructed pallets to faux-wood products like ceramic tile. And of course, there is the wildly popular shiplap — perhaps the biggest wood wall treatment trend made popular by Fixer Upper’s Chip and Joanna Gaines. Log and timber frame homeowners have always been ahead of this trend, choosing to put wood on display inside their homes rather than hide it behind plaster or drywall. 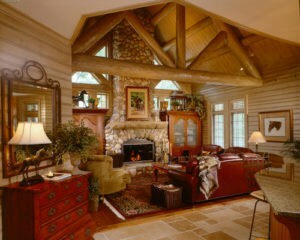 Wood building products can be used in interesting ways on the walls of log and timber frame homes. The next time a homeowner looks to you for design advice, suggest some — or all — of these treatments to add style, warmth, beauty, texture, and tons of character to the walls of their new home. Even on big projects budgets are always tight and margins are generally slim. Homeowners want top quality products and master craftsmanship as cost effectively as possible. That can be a tough line to walk. Here are three ways many of the builders we work with have found to decrease costs and increase margins while providing top of the line building products to your clients. 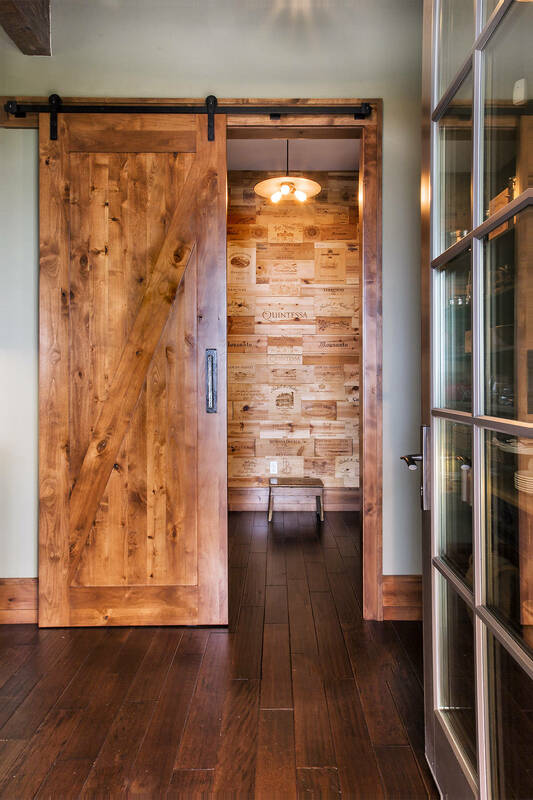 Imagine walking into your client’s dream log or timber home. What do you see inside? Maybe a large fieldstone fireplace. Perhaps a wall of panoramic windows with mountain or lake views. Most certainly an open staircase leading to an upstairs loft. Keep moving your eyes up. What do the ceilings look like? 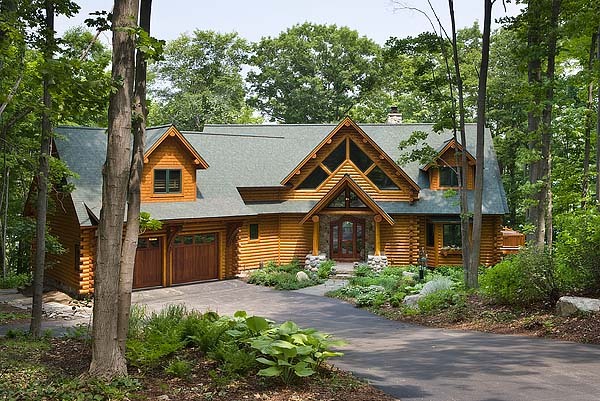 In addition to these hallmark log and timber home elements, many homeowners request vaulted ceilings complete with dramatic log or timber truss systems. Who doesn’t want to impress their customers? You want to wrap up a job and know that you’re leaving your clients amazed by your craftsmanship, service and quality. So amazed that they’ll refer you to everyone who walks into their stunning home! Designing and crafting unique architectural elements is one way your company can stand out from your average builder or contractor. A soaring scribed or timber truss changes an ordinary living room to something spectacular. An elaborate pergola or gazebo transforms outdoor space into the best seat in the house. Hand carved stair railings and gates add that special touch that makes a home a true work of art. Recent tariff discussions on lumber coming out of Canada, along with concern over the limited domestic supply, are causing the price of Western Red Cedar to increase at a dizzying rate. About 85 percent of all Western Red Cedar comes from Canada, and in the last six weeks alone the price has risen nearly 40 percent. 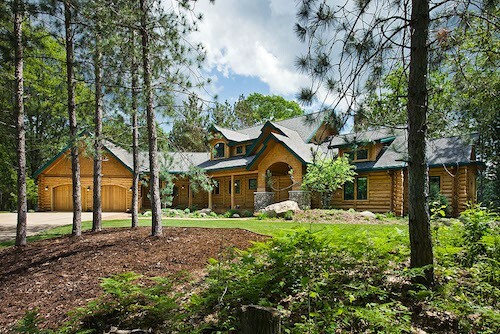 If you’ve already spec’d Western Red Cedar for a building project, Northern White Cedar is a simple substitution that offers the same exceptional beauty, durability, and sustainability for much less than Western Red Cedar because it’s harvested and milled right here in the United States. Here are just a few of the reasons why more and more architects and builders are choosing Northern White Cedar as their timber of choice, right from the start of a project.